What Is A Content Style Guide And What Should You Include In It? So, you are ready to hire your first content freelancer! Congratulations! That's an exciting time for any company. Freelancers can make your life so much easier, and writing freelancers are particularly remarkable. Content is king, but producing consistent content takes up a ton of time. We already know that freelance content only works if you do, so how do you make sure that you will get perfect content every time? Simple, you produce a content style guide. Today on the blog we will break down what a content style guide is, what to include in it, and how to deliver it to your freelancers! Are you ready? Let's go! First things first, let's talk about the elephant in the room. What is a content style guide? 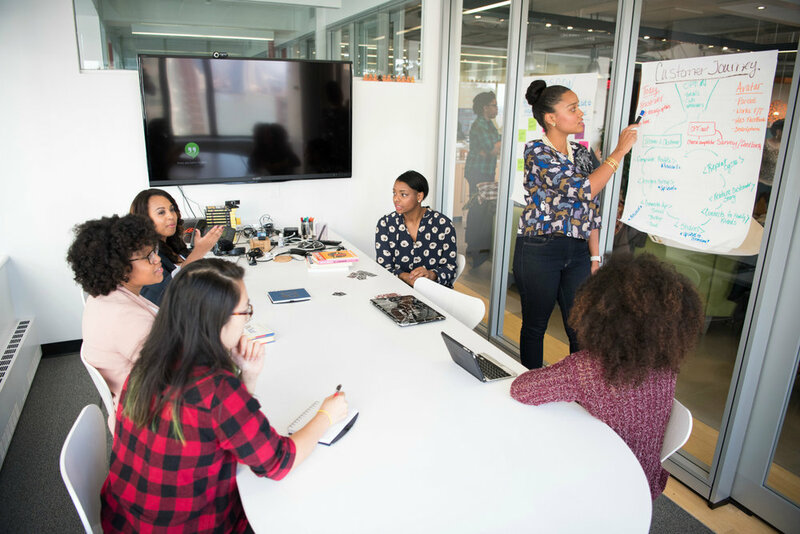 If you have never heard of this topic before, let's delve deeper into what it is and how it can help you as a business owner. 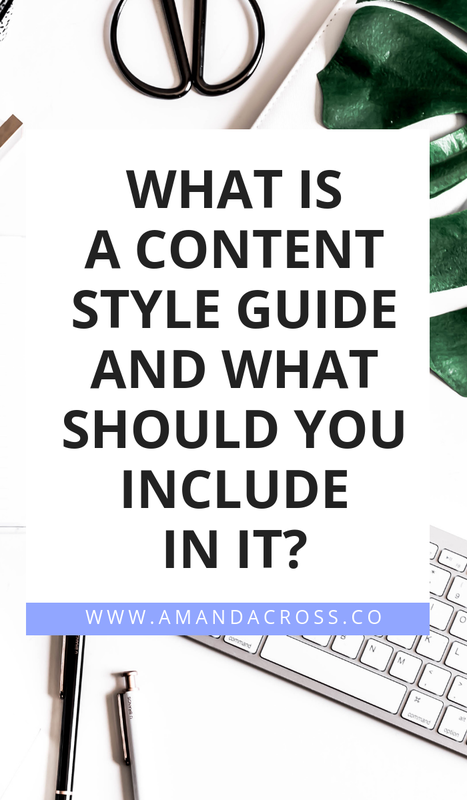 A content style guide is merely a document you produce that gives your content team an overview of what you want from each article posted on your blog. You can create a content style guide for things like ebooks or emails as well. We are going to focus on blog content for the sake of this article, though. There are many types of style guides that a business might produce. For example, you have probably seen a style guide for the visual elements of a website such as brand colors, fonts, and logos. A content style guide is similar; only it's geared towards the content your team produces, not the visual elements your brand has. You can imagine that this document is pretty important. When you create this style guide, your content will begin to sing in harmony. No matter if you have an in-house team or a group of freelancers, everyone will know what to produce and how to produce it. What Should You Include In Your Content Style Guide? Now that we have talked about what a content style guide is, let's chat about what to include in yours. The following is not a comprehensive list of what to include. I am sharing some of the things that I feel are crucial, but it will depend on your brand. One of the first things you should include in your content style guide is the topic or primary keyword you are trying to reach with this piece. What string of words do you want to appear most often in the article? What are you targeting with this piece? With this information, your content writer can do more research on this topic so they can produce a fantastic piece that will be better than whatever is currently out there on this topic. If you have a title in mind, you may also want to include the exact title of the piece you want written. The topic/keyword likely covers a vast subject area. The title will give your writer more insight into the direction you want to take the post. Without a solid title in place, you are giving your content producer a ton of free reign, which you may or may not want to give. Word count is a vital piece of information for any article you want written. If you were expecting the article to be 1,000 words, but your content writer produced something that was 500 words, you would be upset. By explicitly sharing your word count, or word count range, you can cut down on a lot of frustration. Next, let's chat about your audience. You need to get detailed about the audience you write for in your content style guide. Let your freelancer or content writer know precisely who you are speaking to. Here are a few things you may want to let your writer know about. How old is your audience? Do they have a particular age range? Are they millennials, Gen Xers, Baby Boomers? Let your freelancer know. Depending on the type of content, women and men may perceive your article differently. Does your audience not conform to typical gender norms? There are so many things you may want to explain when discussing gender and your audience. When it comes to your audience, how do they live their lives? Do you speak to single mothers? Is your page trying to attract athletes? Do you want to help at-risk teens? Help your writer connect to your audience by sharing the lifestyle traits you want them to have. What is your audience's level of education? Are most of them still in school? Do they have a high school diploma? Maybe they have advanced degrees? Education will let your writer know what level they should be writing content for. After you have delved into your audience and their personality, chat about your brand personality. You want to use all these words and phrases you pick below to come up with a solid paragraph explaining your brand and how you see your brands personality. What tone of voice do you use? Are you stern or silly? Romantic or dramatic? Excited or playful? Delve deep to pull out the mood you want to convey in your articles. One cool exercise that will help your writers out a lot is giving them 1-3 adjectives that would describe your brand. Check out this adjective list from Elise Epp Designs if you need some help picking your brand adjectives. Last, you also need to consider how you want spelling and grammar to be handled in your articles as well as punctuation. Also, do you have any particular citation style you want to use for outside information or extra reading? If you want to go into super detail, you may also have a paragraph giving a bit more explanation for the article you want written. This is where you can speak directly on the article, share any headers you want in the article, and give more description of what the finished result would look like. We know that articles can rank for more than one keyword. If you have some extra keywords that you would like used in the article, be sure to create a section for those keywords. Keep in mind that you don't want to ask for so many secondary keywords that your article becomes a cluttered mess. Next, you may want to add a section for additional notes. This is the time at the wedding where you say "speak now, or forever hold your peace." At least for this document, you can always exchange more information outside of this document. This is your last chance to add anything quirky about your brand that we haven't covered yet. If you have anything you can think of, add it here! Content You Want Linked To In The Article? Do you have any blog posts that you would like to see linked on this post? You want to add that to the extra notes section, so your writer knows to link this content as one of your internal or external links. Last, but not least, you want to wrap up by providing some great content examples. Your writers should know what you would consider great content. This section holds even more weight if you can pull from your website. Share 3-5 examples, and make sure to include at least one sample from your website if you can! How Should You Deliver Your Content Style Guide? Now that you have created your content style guide, you may be wondering, how do I deliver this style guide to my freelancer? Well, you can deliver this via Google Drive or as an attachment to an email when you are assigning them work. Freelancers want to make you happy with the content they produce for you. They won't mind reading through a style guide to make sure they are creating the piece you want. When they can do the article right the first time, this cuts down on a ton of confusion. Content style guides are beneficial when you are just starting a freelancer relationship. After a while, you probably won't need to hand them a style guide every time, but for the first month or so, deliver the guide with your assignments. Wouldn't A Great Freelancer Ask All These Questions Anyway? You may be wondering: wouldn't a great freelancer ask all these questions about my brand anyway? Yes, they may ask you all these questions. So, why is a content style guide still essential? Well, it delivers the answer to common freelancer questions in one, easy to read document. Instead of looking through a dozen emails to find the answers to these questions, your freelancer can look through a straightforward document to make sure they have everything you want. Best of all, you cut down on having to answer those same emails. Both you and your freelancer's time is valued. You don't have time to answer emails, and your freelancer doesn't have time to send emails. Instead of waiting for your freelancer to ask the right questions, give them the answers. You will both save a ton of time that way. I know that this may be hard to conceptualize, which is why I created a simple to use content style guide template for you. I even filled it in with an example of how I might create a style guide for this blog post. Do you want your content style guide template? This will take you to a Google Drive document where you will get instructions on how to add this template to your Google Drive! Here are some additional resources for you if you are looking to create a content style guide for your brand. Let's end this conversation with the following words: your content department needs a content style guide. You will be a lot happier with the content that comes from your in-house and freelance writers. It only takes a few minutes to fill in a style guide for the articles you want created. If you can find a writer to write the article, you can produce a quick style guide for the article. Get out and create your content style guide! Have you ever thought about creating a content style guide? Are you going to create one now?